Learn how to remove a paper jam in Epson printers, follow the steps here, and if you have any other questions, type a comment. The proper way to remove a paper jam in Epson printers depends on what the printer, first of all I would like to exhort that if you have a manual installation or use of the user to verify the best way to get a piece of paper like that to jam the printing process. Another way to get the installation manual for your printer is visiting the support page, download options appear in the installation manual, all equipment have one that will help further the process. Visit our publication, on how to download the driver or drivers for Epson printers, you get the manual will help not only solve a paper jam, if not any other error that no intervention by a professional technician needed. 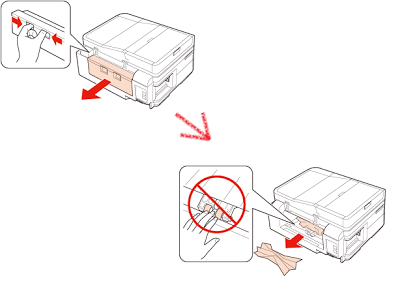 Here is a list of the most common ways to remove the jammed paper error in equipment Epson, and putting in something important knowledge about the jam and you should not remove the paper from the front of the printer, ie after the paper has started the process should not be removed where it enters, we recommend following the directions below. This is in case the printer is multifunctional, much of the equipment gives the possibility to reach the cartridges, if the page is stuck and finishing printing, lift the lid closed to prevent access to the cartridges and pull the page. Be very careful and only do this with the off or disconnected electric feeder cable printer. Most printers have a door back, that gives access to remove any paper that is not possible to remove the top, or one unable to serve or finish out you get stuck so you need to open the back door paper to pull without breaking. Here the same way the printer must be turned off to prevent damage to the rolls and the printing process is done, do not touch the wheels that guide the impression with your hands can unset the printer. To prevent paper jams in the Epson equipment, the recommendation is to use quality papers and is not torn, it is recommended to look at the user manual for the printer and check that number of pages supports this, that way not force the team to do a task that is not ready. 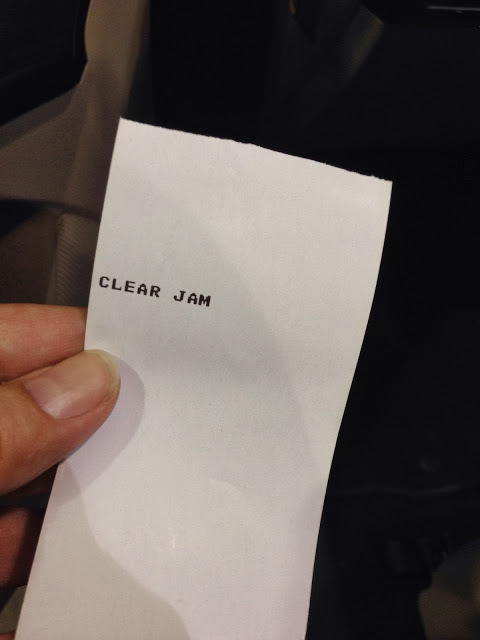 If the paper is jammed at the beginning of the process, it is recommended to use the best method to remove the jam that involves removing the pages by a door which is partly down, made only to remove paper jams, another case that can occur is papers stuck on top when the printer is available scan both sides, you can delete following the manufacturer's directions or using logic and extracting pages after lift access to this tray.